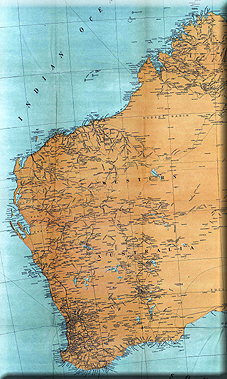 Western Australia was a huge expanse that was referred to as New Holland for many years. The Dutch had indeed been the first Europeans to explore the area. However from the coastline the land looked barren and dry and unsuitable for any settlements of any kind. 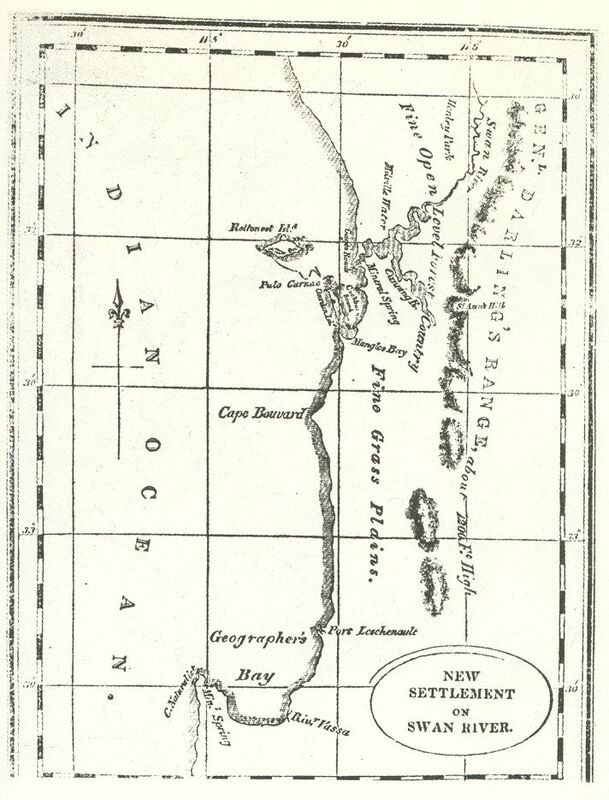 The British would focus their efforts on the Eastern coast of New South Wales first. That was to change in 1820s. First of all a small colony was sent from New South Wales by Governor Darling to try and preempt a possibility of the French establishing a colony in the area. A small group of soldiers set up a tiny outpost on the southern coast of Western Australia at King George's Sound. It was a tiny unappealing outpost but it laid claim to the intent to expand the colony. This claim further manifested itself when Captain James Stirling returned from an anti-piracy voyage in the Timor Sea via the western coast. To his surprise, he came across a navigable river and what appeared to be swathes of fertile land. His report created considerable enthusiasm and a private company was formed to settle the area. It was hoped to do so along the lines of South Australia with no convicts and freed labour only. 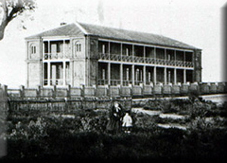 There was no shortage of applicants for the first four hundred places and hopes were high for what was to be dubbed the Swan River Colony. However, on arrival the settlers found more problems than they could have anticipated. Several of the ships ran aground, the land was far lower quality than they had planned for and the settlers had few of the skills necessary for creating a settlement out of barren land. When a supply ship finally arrived at the colony it was horrified to find the colony on the brink of starvation. When the story of the colony got back to New South Wales and to Britain immigration slowed to a trickle. If any settlers did try their luck in Western Australia they tended to settle along the slightly more hospitable southern coast. By 1850 there were not yet 6,000 settlers in the entire region. As the colony appeared to be failing, the British government offered convict labour which the authorities realised was the only way of kick starting the colony. Over the next two decades some 9,000 convicts would arrive to build an infrastructure of sorts. In fact, Western Australia was the last of the colonies to rely on convict labour. By 1859, all the other Australian colonies had their own parliaments. 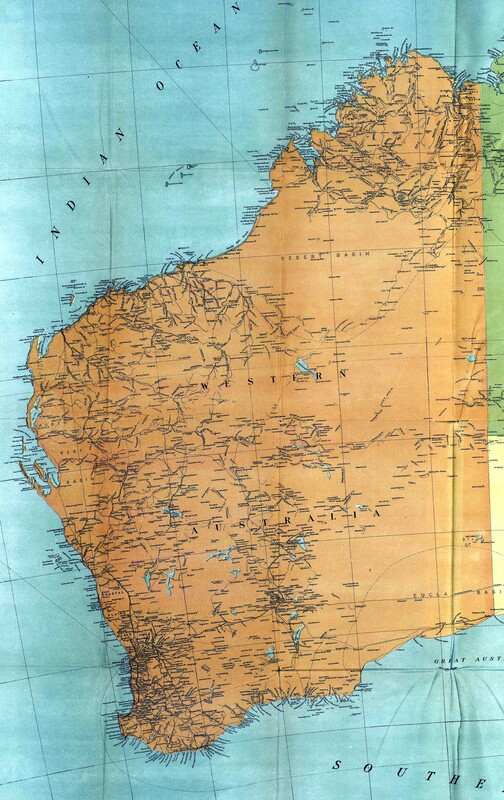 Colonists in Western Australia began pushing for the right to govern themselves. The British Colonial Office opposed this because of the slow rate of growth and the continued reliance on convict labour. Petitions asking for some form of self government were made repeatedly. It took until 1890 for it to be finally granted, although the Governor could still veto the Council's decisions. A major change in the state's fortunes had occurred in the 1880s when gold had been discovered and prospectors by the tens of thousands swarmed across the land in a desperate attempt to discover new goldfields. Although most were transient, some remained and the cash provided a welcome boost to the coffers of local businessmen and the authorities. Technology would also be a key element in allowing the colony to improve its fortunes. The telegraph, steam ships, refrigeration would all allow improved communications and opportunities for exporters. Wool and mutton would prove to be a particularly important export.